The only Catholic based Montessori School in the GTA (curriculum encouraged and supported by the Archbishop of Toronto). We provide an intimate environment for students aged 2.5 - 5 yrs that stimulates independent thinking and enriches moral development. Faculty and parents work together to foster, within each child, the early habits, attitudes and skills necessary to establish a lifelong joy in learning. Our responsibility is to guide the whole child - spiritually, emotionally, and intellectually. When Edgerton Ryerson established a national, public education system, he highlighted the need for consistency: every school should be the same, offer the same things, from coast to coast. Sadly, that conception of what schools should be, and what they should provide, remains doggedly with us today. Thankfully, schools like Shepherd Montessori step away from that model, choosing rather to offer something as unique as the community they are formed to serve. Shepherd is a school using the Montessori method to deliver a program that is also based in the values of the Catholic church. In that, it’s happily one of a kind. Further, the student population is small, allowing a heightened level of individual attention, something that is also a primary draw. The community of the school is diverse, and while not all families are active within the Catholic church, all nevertheless appreciate the school’s attention to developing the students’ understanding of their spiritual selves. The approach in the classroom is child-centered, child-directed, and project oriented. The ideal student is one able to thrive with a close-knit learning environment. Gallery showcasing school life and general photos of Shepherd Montessori Private Catholic School. School has a Montessori approach to Curriculum (as opposed to Traditional, Liberal Arts, Progressive, Reggio Emilia, Waldorf approach). What School says: Our school builds on a foundation to help balance both the academic and spiritual growth needed during the early stages of learning! Our atrium program also is run using the same pholoophy as Montessori. School has a Montessori approach to Preschool/K Curriculum (as opposed to Play-based, Waldorf, Reggio Emilia, Academic approach). What School says: Our school has a strong focus on the spiritual aspect although it is a catholic school we do accept all different religions creeds and beliefs. Below, find stories and testimonials about Shepherd Montessori Private Catholic School. Shepherd Montessori is a very special school, and our decision to send our children to there is the best parenting decision we have made thus far. Under the warm, consistent care of their amazing team, our son completely blossomed. He became a “zipper expert” in no time, became better at sharing, caring, reading, writing, and grew spiritually as well. Mrs. Fariba Naujoks is an amazing educator and put our son on a path to success. Once he left Shepherd and went into the Catholic school system, his teachers regularly remarked about what great habits our son exhibits. We know, without a doubt, that the individualized attention and support he received while at Shepherd set him up for success in the school system. Sending our son to Shepherd for his JK and SK years was the absolute right choice for our child. In fact, although we did not have the same concerns with our daughter, we subsequently sent her to Shepherd Montessori for her JK and SK years too. We wanted to ensure she received the same, strong, full foundation for school success as her brother. Warmest thank you to the DiMichele Family and staff. We would unequivocally recommend this amazing little school to other parents. 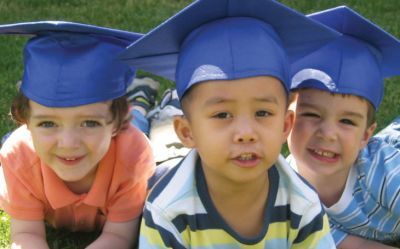 Interested in Shepherd Montessori Private Catholic School?